Cowiche Canyon Conservancy partners with a number of others to connect people to the landscape, both on and off our trails. Since 2010, Fremont Brewing Company, a popular Seattle-based craft brewery, has been supporting conservation in Cowiche Canyon through a unique partnership with local organic hop-growers. Fremont partners with the Carpenters, a fifth-generation hop growing family, and Ron Britt, an agricultural researcher and hop expert who owns the land at the mouth of Cowiche Canyon, to produce Cowiche Canyon Fresh Hop Ale. The organic hops grown on Britt’s four acres at the mouth of Cowiche Canyon help flavor Cowiche Canyon Fresh Hop Ale, one of Fremont’s beloved, small batch beers. Fremont is committed to offering a product that helps support environmental responsibility and sustainability. Fremont Brewing Company donates a portion of the proceeds from this Fresh Hop Ale to support Cowiche Canyon Conservancy. 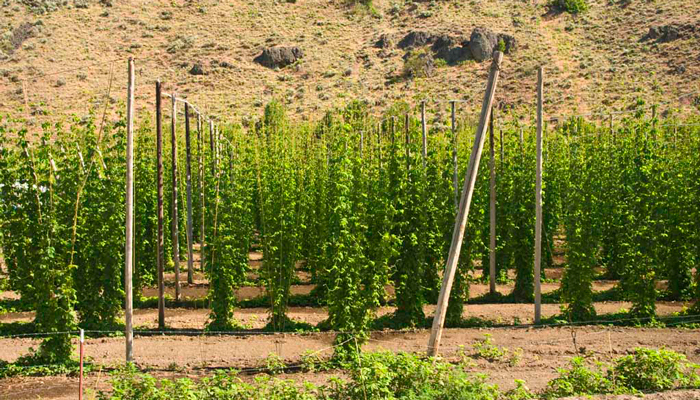 This partnership helps promote the organic hop industry and elevates the connection between conservation, recreation, and local economy. A favorite day excursion for visitors and locals alike . 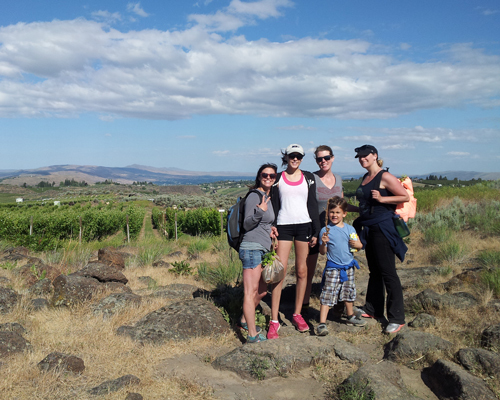 . . take a hike from “wine country to wild country.” Cowiche Canyon Conservancy shares the landscape with vineyards, orchards, and our great neighbors on Naches Heights. 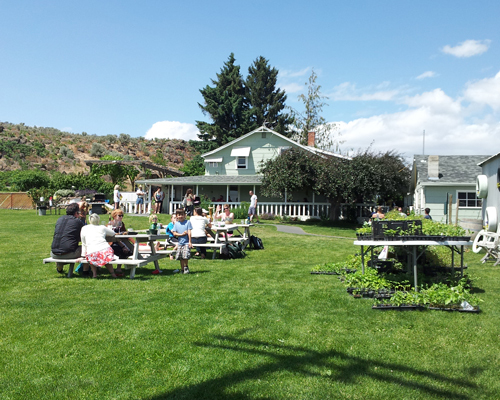 The 0.8 mile Winery Trail takes visitors from The Tasting Room at Wilridge Vineyard, overlooking the north rim of the Canyon, down to the Canyon floor, connecting with the Cowiche Canyon Trail. Enjoy a glass of wine, stroll through the vineyards, take in the incredible views and then journey down into the Canyon to experience “wild country.” Our conserved natural areas are the haven for many species of insects beneficial to agriculture, and serve as a unique draw for those who want to enjoy spectacular hiking a stone’s throw away from wine tasting. Follow us on Facebook for the latest CCC news, events and trail conditions.